I love baking on Sundays! It's like a last chance to be naughty and have some fun before the weekend is over. I usually go for something more dessert-focused but this Sunday I was up early and looking for a breakfast sweet. 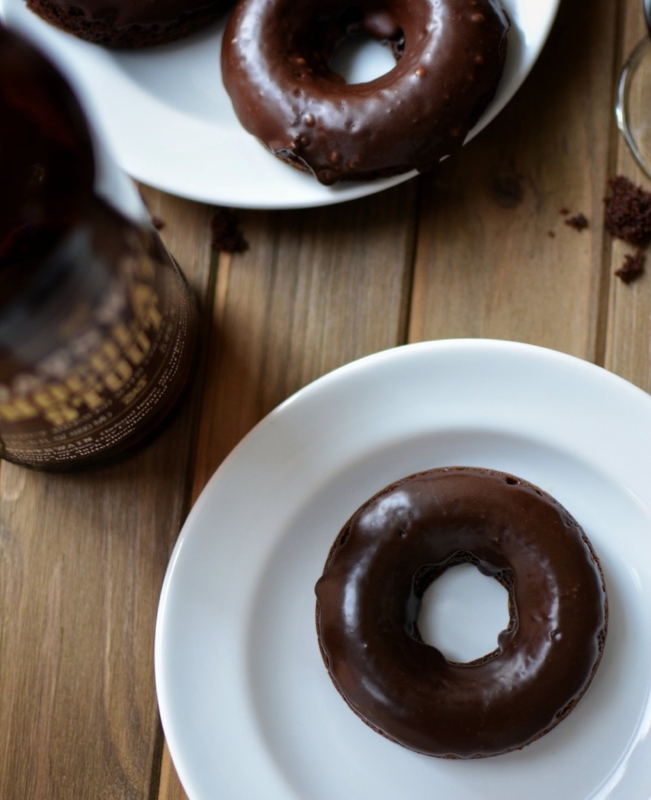 Pick a stout that is flavored with chocolate or not too roasty - the stout cooks down a little so the bitterness will compound, there is sugar to balance it, but you still don't want too much bitterness in your treat! Let the donuts cool completely in the pan. I'll say it again below, but I'm saying it here too, becasue I really mean it. Once donuts are COMPLETELY cooled glaze by dunking the donut into the glaze and then placing on a cooling rack with a cookie sheet or wax paper beneath. Let the glaze harden and enjoy! 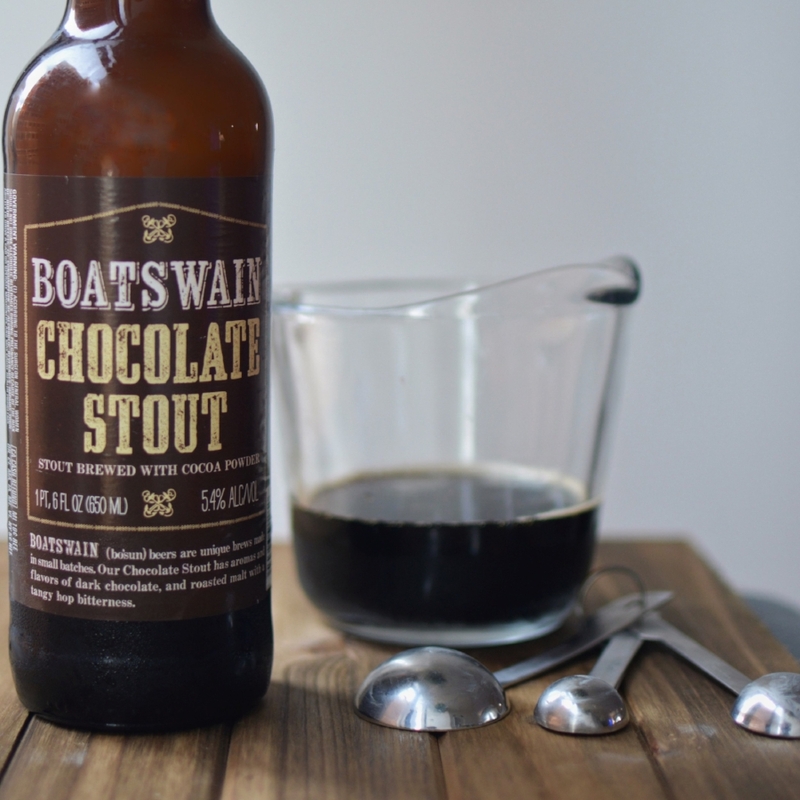 My favorite chocolate beer for cooking is Boatswain Chocolate Stout from Trader Joe's. It's crazy cheap ($3 for a bomber in NYC) and it's made with cocoa powder so it has a perfect chocolaty flavor for baking. Let me know what you think if you make these. Or send me a picture on twitter or instagram, I'd love to see them!